As the end of the week draws near, it’s time to reveal what’s fresh on the Nintendo eShop as of today. 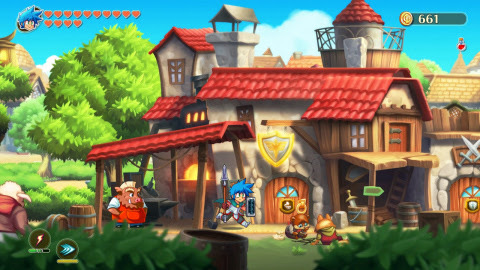 This week’s highlights include the RPG world of Monster Boy, along with the swordplay of Superbrothers. As if that wasn’t enough, there’s a massive update for Animal Crossing’s mobile outing, plus a long list of other new releases. Check out the full list below and let us know which games will be on your playlist this weekend. My Nintendo December Rewards – December is a big month for gamers, with the launch of the Super Smash Bros. Ultimategame on Dec. 7. To celebrate the release, My Nintendo is offering a Super Smash Bros. Ultimate themed December calendar. Redeem your points** to get this cool reward starting on Nov. 30.